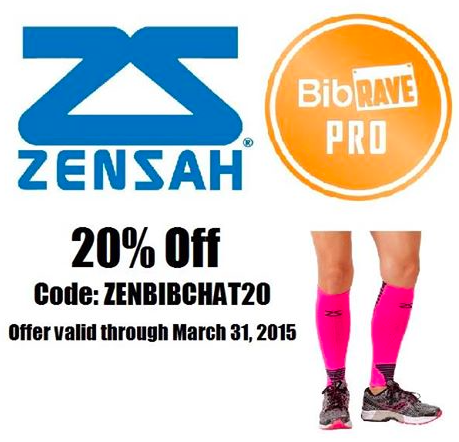 Disclaimer: I received a pair of Zensah Ultra Compression sleeves to review as a BibRave Pro. Learn more about becoming a BibRave Pro ambassador, and check BibRave.com to review, find and write race reviews! Let me just say, I believe in the power of compression socks. I have a few pairs of different brands that I wear. I don’t wear them all the time, not for every single race or run but to me, they do help with circulation and recovery. A few weeks ago, I got Zensah compression sleeves in the mail. First, I have never used compression socks. I’m not sure why. I figured that socks are just easier to use compared to sleeves. And you don’t have to worry about socks moving (as my original reasoning as to why I have never bought sleeves). Secondly, I’ve never tried out Zensah before. I’ve used two other brands so this might be an experience. Also, I got them in the hot pink which is the BRIGHTEST color I have ever gotten! Two words: recovery and circulation. I love that they help with recovery and also keep everything circulating in my legs. Enhanced blood circulation as a result of improved venous return. Faster recovery. Enhanced warm-up. Reduced muscle oscillation/vibration while running. Reduced effects of delayed onset muscle soreness. Increased muscle support. Improved leg power. 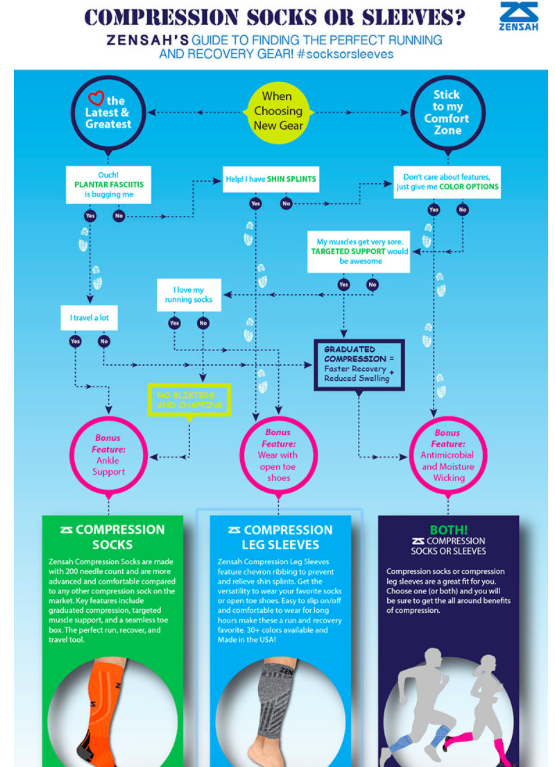 Read more about the science of compression here. Even though sleeves are a little bit cheaper than compression socks, I’ve always bought socks not sleeves. I do like how these sleeves allow for more movement and feel less restrictive than socks. I wore these sleeves the first time during a treadmill class and I wore them incorrectly! Go figure, I couldn’t put these on correctly. Eventually I figured it out. 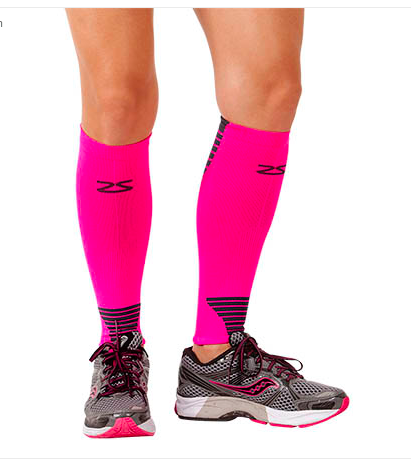 I do love wearing them because they are light and not restrictive or thick compared to other compression socks. More reasons to wear sleeves: shin splint relief and calf support, improved circulation and decrease muscle recovery time, and anti-odor. If you can’t make up your mind, check out this graphic. If you want to check out these Italian made sleeves, use the Bibchat discount! The discount expires this Tuesday, March 31!